Life is short and unpredictable, so it’s prudent to eat dessert whenever possible—just make sure it’s a good one! From indulgent cheese boards to ooey-gooey chocolate shots, here are five of our favourite desserts in Lan Kwai Fong. Make a date to try at least one of them this week, and when you do, tag your Instagram photos with #LKF for a chance to be featured in our monthly food and drink roundup. It may be hard to save room for dessert when you’re tucking into the best dang burgers in the city, but try. This gorgeous Oreo shot has never let us down. It’s decadent and rich, like all desserts should be, and is guaranteed to make even the most snobbish of chocolate lovers swoon. Go for the spicy vodka rigatoni, but stay for the famous lemon cheesecake. 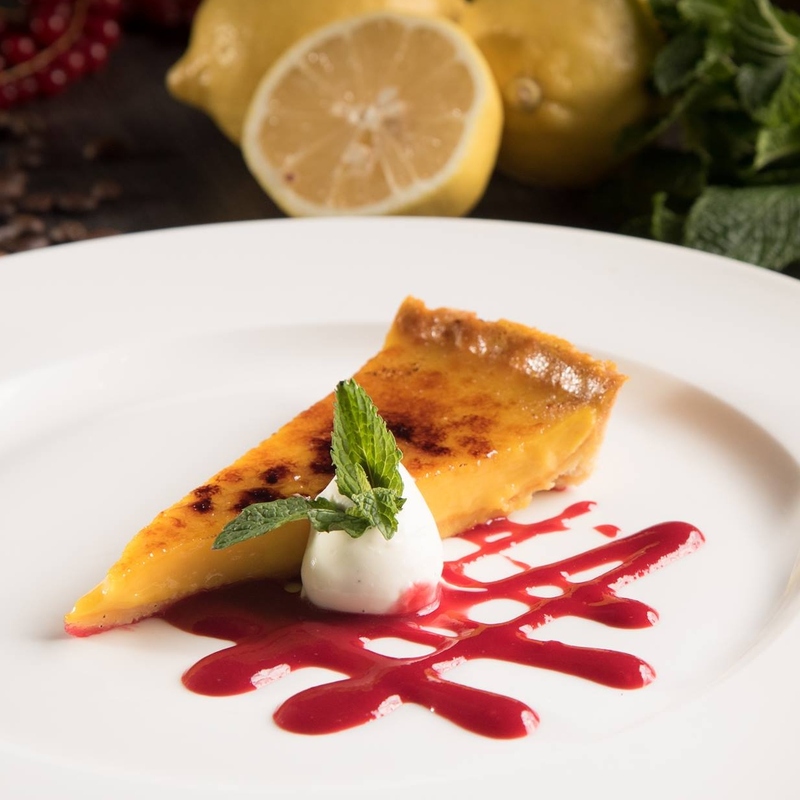 This is a true must-try dessert in Lan Kwai Fong, and one of those cakes we wish we had the recipe for! It somehow nails that perfect balance between sweet, creamy and tart – and doesn’t leave you feeling sluggish and heavy like some cheesecakes do. Ask for two forks if you must, but you’re not going to want to share this one. This isn’t a dessert per se, but rather a collection of them. The dessert spread at Buenos Aires Polo Club’s weekend brunch is one of the most beautiful things we’ve ever laid our eyes on. And it’s all delicious. You’ll want to try it all, everything from the mille-feuille to the white cake. And if they have cinnamon rolls, don’t hesitate, just eat. Thank us later. Some people don’t have a sweet tooth, and we respect that. If you prefer to end your meal on a more savoury note, On Dining has you covered. Their famous cheese board is the stuff of legend, often features hard-to-find options you can’t get anywhere else. Pair them with a glass of your favourite wine, and you’ve got yourself one perfect evening. Yes, ravioli can be a dessert. At Ciao Chow, Lan Kwai Fong’s resident Neapolitan pizzeria, they make this classic dish a little differently. Instead of delicate cheese-filled pillows, their ravioli is filled with rich Nutella and sweet banana. Get your cameras ready for this one, because it’s a real show-stopper.